Questions about liturgical celebrations in the Eastern Catholic Churches, including the administration of the Holy Mysteries. Why do the Eastern Churches use leavened bread for communion? Why does the Roman Catholic Church use unleavened bread? This difference is primarily cultural, although liturgical historians believe that there are theological reasons for the difference. Originally, both the Roman Catholic Church and the Eastern Churches used leavened bread, leavened with yeast. Midway through the first millennium the practice of using unleavened bread became increasingly common in the Latin Church, until it became the general custom. This change was prompted by a desire to more closely associate the celebration of the Eucharist with Christ’s final Passover meal, the Last Supper. The Eastern Churches, in contrast, preferred to continue using leavened bread. This is because in the Byzantine empire unleavened bread was associated with lifelessness, while the rising of leavened bread was associated with resurrection. There is one notable exception to this: the Armenian Church, which according to some sources used unleavened bread since the early centuries and continues to do so. Unfortunately, this difference became a subject of hot controversy at the end of the first millennium, and was one of the factors behind the schism of 1054. Today this is no longer an issue, and everyone recognizes that both leavened and unleavened bread are capable of being consecrated as the Body of Christ. When did the East/West split on the use of leavened/unleavened bread occur? Most liturgical scholars believe that both the Eastern and Western Churches used leavened bread until the seventh century. However, the use of unleavened bread seems to be an ancient practice in the Armenian Church. Is it true that in 1054, one of the reasons listed for the excommunication of the Eastern Orthodox Church from the Roman Catholic Church was that the Eastern Orthodox Church uses leavened bread for Holy Communion? This was not one of the official reasons listed for the excommunication. Actually, it was the Patriarch of Constantinople, Michael Cerularius, who made a big fuss over the use of UNLEAVENED bread by Roman Catholics. No major authorities on the Latin side seriously attacked the Eastern use of leavened bread, although some minor polemicists may have. Why does the Eastern Orthodox Church insist on the use of leavened bread? In the Byzantine tradition the rising of the leavened bread is symbolic of the resurrection of Christ. Moreover, the use of leavened bread emphasizes that the Eucharist is something more than the Jewish Passover. As “Judaizing” Christian factions were a major problem throughout the East for quite some time, this was an important factor. I would like to know the origin of the Eastern practice of standing throughout the Divine Liturgy. Do they consider standing to be the most reverent posture? I have heard some people say that the Easterners started standing during the Divine Liturgy as they became more “prideful” and disobedient toward the Pope. Is this true? This is completely and utterly false. Whoever said that is guilty of historical revisionism. In early Christianity standing was always the preferred posture for prayer. In fact, early artwork depicts Christians in the “orans” posture, standing with their hands turned upward. This was the normal posture for worship in both the East and the West throughout much of the first millenium. The practice of kneeling for Sunday Mass in the West was a later development. I was recently reading an Orthodox book that said kneeling is completely unacceptable on Sundays, but on a visit to an Eastern Catholic Church I found they DO kneel. Why is this? The traditional practice is to stand during the Divine Liturgy on Sundays. In the Eastern Churches standing is considered be a greater sign of reverence than kneeling. For us kneeling is associated with penance, not worship. However, some Eastern Catholic parishes in America have adopted the practice of kneeling during the anaphora (Eucharist prayer) out of imitation of the Latin practice. Surprisingly, some Eastern Orthodox parishes in this country have also adopted the practice of kneeling. There is currently a movement to restore the Eastern tradition of standing, but it hasn’t reached every part of the country. I’d like to ask how experts have determined that standing was the the posture for prayer in the early Church? You once wrote that there are ancient frescoes on which people are depicted as praying standing. In my Bible, however, Acts chapter 10, Peter kneels to pray before Tabitha is cured. I would imagine that the book of Acts is more ancient than any early Christian fresco. Both of these quotes indicate that kneeling was also a posture for prayer. However, at that time standing was deemed to be most appropriate for Sundays and the fifty days after Easter, while kneeling was permitted on weekdays. This is still the normative tradition in the Christian East, although the development of kneeling on Sundays in the West is equally legitimate. As you know, for sometime the Latin Rite has utilized female lectors, ushers, altar servers and Eucharistic Ministers. What, if any, functions are open to women during Eastern Rite services? In the Eastern Catholic Churches women can (and do) serve as cantors, lectors, and ushers/greeters. Some of our very best cantors are women, and in the Eastern Churches cantors play a crucial role. It is difficult to celebrate the liturgy properly without a trained and experienced cantor. Is a true that a woman cannot approach the sanctuary except during church cleaning? In the Byzantine tradition women are generally not allowed to go behind the icon screen (there are exceptions). However, this isn’t a judgement against women or anything of that nature. It is simply that the sanctuary (which we call the altar) is a sacred area, and no one is allowed in there unless they have a specific reason to be there. I, as a layman, am forbidden to enter there unless I have been told to do so. Even the priest only enters the sanctuary when he is carrying out a liturgical function, or is making preparations to do so. Since in our tradition we do not have altar girls, there usually isn’t a reason for a woman to enter into the altar. Do the eastern churches have the same manner of confession that we do in the west? The manner of confession differs from Eastern Church to Eastern Church. I am most familiar with the form of confession used by the Byzantine Churches, both Catholic and Orthodox. In this form of confession the penitent confesses his or her sins before an icon of Christ. The priest stands or sits by the penitent’s side while the confession is made. Then the priest places his Epitrachelion (stole) over the penitent’s head, and recites the prayer of absolution. In some parishes the confession is made before the icon on the iconostasis. However, some Byzantine Catholic Churches have adopted the Latin form of the sacrament in past centuries. There is a gradual movement to restore the traditional Byzantine form. 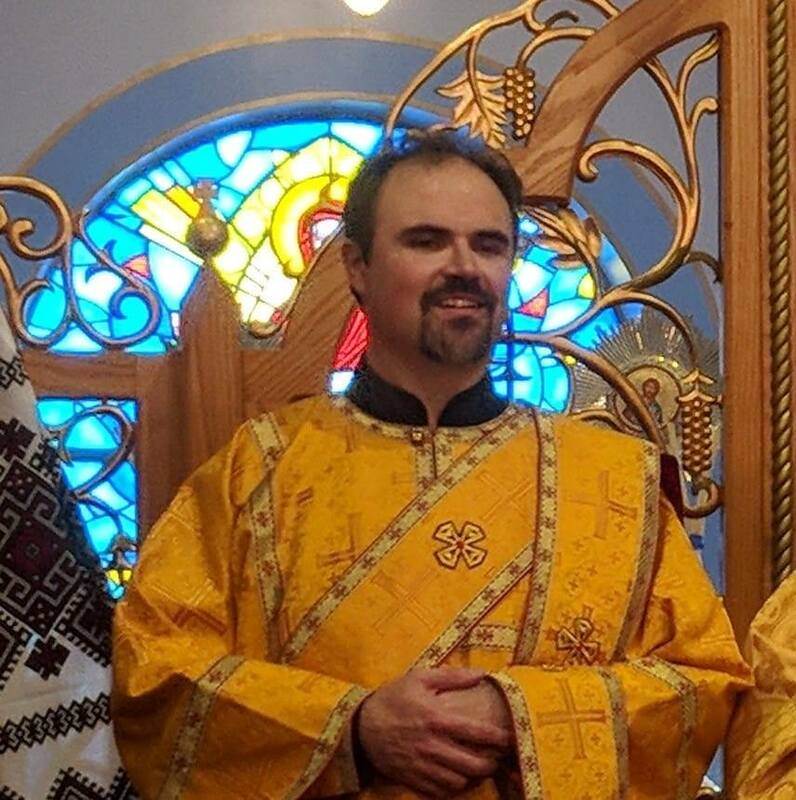 I attended an Eastern Orthodox liturgy a while back and I noticed that at the end, the congregation was allowed to take home the remaining Eurharist. Was this the Eucharist or was it just some other bread? What the people received at the end of the liturgy is not the Eucharist. It is called “antidoran,” which is blessed bread given out after communion. In Eastern Orthodox Churches it is traditional to distribute the antidoran at the end of every liturgy. The antidoran comes from the same loaf as the consecrated Eucharist, but it is not consecrated but blessed. It hearkens back to the era in which Christians received communion infrequently, only once or twice a year. Because people didn’t receive communion, they would come up to receive the antidoran. Thus, antidoran literally means “instead of the gift.” Most Eastern Orthodox parishes will offer the antidoran to any baptized Christian, although some will only offer it to Orthodox Christians. Do the Eastern Catholic Churches distribute blessed bread like they do in the Eastern Orthodox Churches? The distribution of antidoran is common to both the Byzantine and Armenian liturgical traditions. I do not know if any other traditions use it. Among Byzantine Catholics, the practice varies. I know from personal experience that Byzantine Catholics of the Ruthenian Recension have largely abandoned the practice, although the antidoran is still distributed on certain feast days together with an anointing. Could you explain why the celebration of the Eucharist is called in the Latin Church “Holy Mass” and in the Eastern Churches “Divine Liturgy,” and whether the two terms may be used interchangeably? The word “Mass” refers properly only to the Eucharistic Liturgy of the Latin Church. The word has its origins in a dismissal found only in this liturgy. At the end of the celebration, the priest says (in Latin) “Ite missa est.” This can be roughly translated as “The dismissal is made.” In time the word “missa” was used to designate the entire Latin liturgy, and the word began to be pronounced as “Mass” by the laity. In the Eastern Churches, the Liturgy is properly referred to as the “Divine Liturgy.” Liturgy is a Greek word, meaning “the work of the people.” Literally, Divine Liturgy means “the heavenly work of the people.” In the Eastern Liturgies there is a strong sense that the congregation has left this world, and is being mystically transported to heaven, where we participate in the Heavenly Liturgy. That is why we don’t use musical instruments. It really is not correct to use the two terms interchangeably, although it sometimes happens. When does transubstantiation take place in the Divine Liturgy? Concerning the moment of “transubstantiation,” Eastern Catholic theology does not narrow in exclusively on the words of institution as being the moment of consecration. The Eastern Church Fathers taught that the Eucharist mysteriously becomes the body and blood of Christ sometime during the anaphora (Eucharistic prayer). Eastern Catholics have traditionally placed a great emphasis on the epiclesis, which is the moment in which the Holy Spirit is called down upon the gifts to transform them into the Body and Blood of Christ. In the great Eatern Liturgies, which we still use, the epiclesis comes after the words of institution. This difference in no way ruptures our communion with the Latin Church. Rather, it highlights what is distinctive about Eastern Christian theology: a heavy emphasis on mystery. We choose to believe that Christ manifests himself in the Eucharist at some (unspecified) time during the Eucharistic prayer. Narrowing in on an exact moment of consecration is not the Eastern style. Rather, we see the coming of Christ in the Eucharist as being a great mystery which we are unable to comprehend. I recently attended a Byzantine Catholic wedding, and the bride and groom did not recite wedding vows. Why? Traditionally, in the Byzantine Churches vows are not exchanged during the wedding ceremony. Rather, the most significant event is the placing of the crowns on the heads of the bride and groom, together with the blessing of the priest. However, some Byzantine Catholic Churches added vows to the ceremony in an attempt to conform to Western culture. You referred to Infant Communion as being an ancient practice in the Eastern Rite. I have been thinking a lot about it; it makes so much more sense to me than the Roman practice. Can you help me understand better how ancient this is and why the Roman Catholic Church does not do this? In the ancient Church, both Western and Eastern, it was very common for infants to receive communion immediately after Baptism. In the East, it was the norm for them to continue receiving the Eucharist each week. In the West, it was more typical for them to only receive the Eucharist immediately following Baptism, and not again until they were older. Nonetheless, weekly infant communion was practiced in many parts of the Western Church. This changed definitively for the West at the Fourth Lateran Council, and later the Council of Trent. These Councils taught that children must be able to understand what they are receiving, so that they can give devotion to the Eucharist. This teaching did not effect the discipline of the Eastern Churches. Obviously I, as a Byzantine Catholic, strongly favor infant communion. But the Latin Church is entitled to its own discipline in this regard. Both disciplines are allowed to coexist in the Catholic Church, and must be respected. Is it true that some Eastern Catholic parishes use English in their liturgy now? Is this allowed? In the United States many Eastern Catholic parishes celebrate the Liturgy in English. The Byzantine-Ruthenian Catholic Church, for example, celebrates the Divine Liturgy almost exclusively in English in the U.S. This is because they are very Americanized, and have members from numerous racial and ethnic backgrounds. The Ukrainian Catholics, in contrast, are closer to their immigrant roots. They are still receiving new waves of immigrants on a regular basis. Thus, they use Ukrainian in many places because it is what the people are most comfortable with. The ancient tradition of the Eastern Churches is for Liturgy to be celebrated in the language of the people. Hence, Byzantine Catholics were actually celebrating the Divine Liturgy in English here in America, while Roman Catholics were still using Latin.